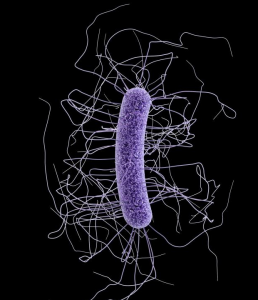 Biopharmaceutical company focused on developing new antibiotics for difficult-to-treat bacterial infections, Acurx Pharmaceuticals announced today that the U.S. Food and Drug Administration has granted Fast Track designation for ACX-362E, an investigational new treatment for Clostridium difficile Infection (CDI). ACX-362E is a novel, oral antibiotic that recently entered Phase 1 development. ACX-362E is a novel, first-in-class, orally-administered antibacterial. It is the first of a novel class of DNA polymerase IIIC inhibitors under development by Acurx to treat bacterial infections. FDA Fast Track Designation is a process designed to facilitate the development and expedite the regulatory pathway of new drugs to treat serious or life-threatening conditions and that fill a high unmet medical need. The CDC has reported that there are nearly 500,000 patients per year treated for CDI in the U.S. alone, with a recurrence rate approximated at 20% to 30%, with limited antibiotics available to treat patients with CDI.